I was recently invited to take part in Sourdough Surprises but unfortunately their reveal day is the same day as my Group C reveal day for SRC. So as to not ‘miss’ out on this month’s challenge, I decided to go ahead and make the brownies, and post the recipe even though I have not joined the linky party. I am so in love with my sourdough that I will try and make anything using it. I will follow the group each month to see what their challenge is, so be sure to follow me if you want to see my progress with using my sourdough starter. These brownies are an adaptation of my trusty recipe and had a lovely deep note of chocolate to them. I used marshmallows for the ooey gooey aspect and I can tell you that there are very moreish – make a batch at the peril of your own waistline, or make them when you know you can share them out among friends and family. do you like your brownies plain or with an addition of something else? I am in Italy and will return to work on the 5th of June. I will reply to blog comments then. This post has been scheduled in advance. If you want to follow our daily diary while we are away, click here. I shall make a batch for you! 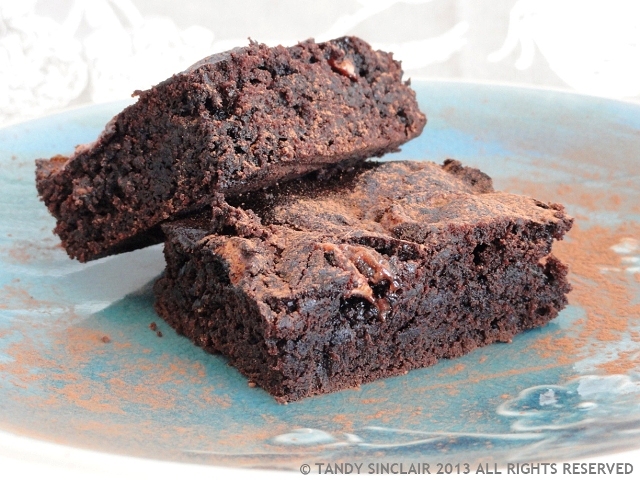 I like my brownies with nuts, although a rarely bake them…so interesting with the sourdough starter…love it gooey! It’s amazing the things you can do with sourdough! very cool! I am definitely intrigued by the idea of a sourdough brownie and I reckon the addition of marshmallows makes them all the better. I shall bring you some starter as your welcome to Cape Town gift! Are you already back from your holiday? I like it plain I think or with nuts. I like nuts as well! I’m a great fan of brownies and these look great – sticky and chocolatey: what more could you ask of a brownie. I’ve only ever made brownies on a few occasions, they are usually too sweet for my palette, although a sour dough version sounds lovely. Hope you have arrived safely and enjoying your holiday. Love your idea of using marshmallows!